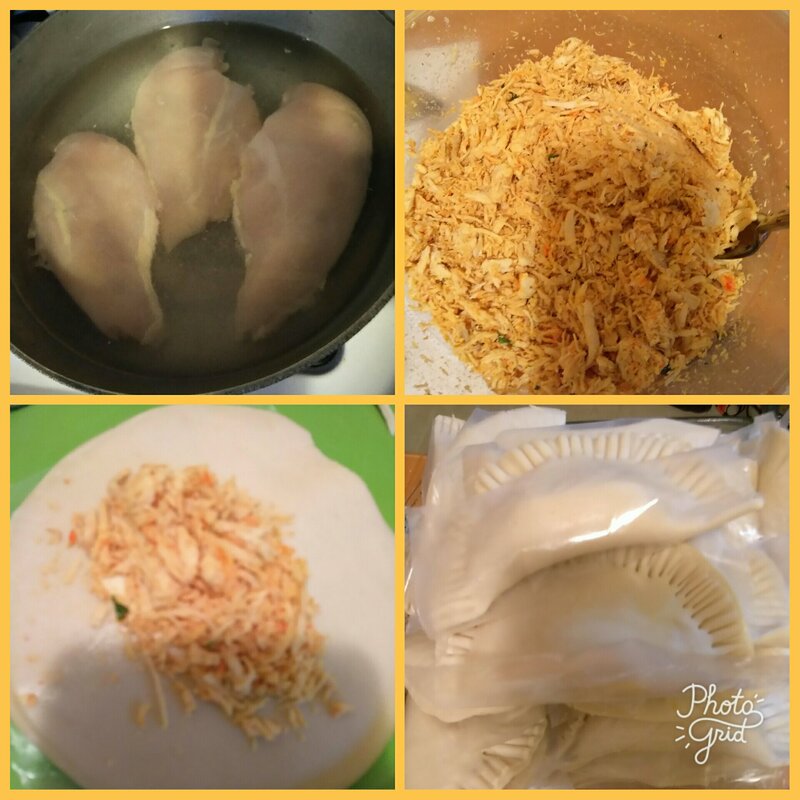 How to make chicken enpanadas. ⚪I seasoned it to my liking- you are free to season how you want it. ⚪Then you get a plate and a fork to use to seal the enpanadas. ⚪One disc at a time you put a piece of cheese then two spoons of the shredded chicken. ⚪Fold the enpanadas over and use the fork to press down the edges. Oh how I love these. Awesome way to sneak chopped up veges for kids too! Oh no. They should be in the frozen section in the grocery stores. I know Walmart sells them. Josamy's Life Create a free website or blog at WordPress.com.